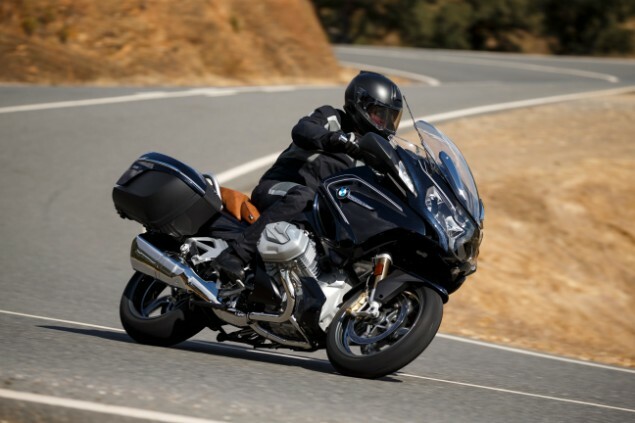 The launch of the 2019 BMW R1250RT has been a bit lost in the excitement of launch of the BMW R1250GS adventure range but, make no mistake, the RT remains an important motorcycle. The RT has been the best-selling touring bike in the UK market for many years and it seems nothing captures the touring motorcycle buying market to the same degree. The new RT was launched alongside the GS but with much less fanfare; and that’s a shame because it shares the same engine overhaul as the adventure model GS but also comes with some technology new to the RT range. The styling of the 2019 RT has some subtle changes including increased fairing protection thanks to an addition piece of fairing spoiler but it’s the engine updates that will signify the biggest changes to the bike. The engine is shared with the R1250GS range and that means it gains the same variable valve technology (VVT) that BMW calls Shiftcam (if you’re not familiar with the technology, you can read all about it in our Shiftcam breakdown). It basically works to improve low rev smoothness, reduce emissions and increase fuel efficiency while also boosting top-end power from 125hp to 136hp. A new 5.7in full colour Thin Film Transistor (TFT) screen is now fitted to the RT for the first time. Unlike the GS models, the RT’s TFT screen is complemented by two traditional analogue dials as well. 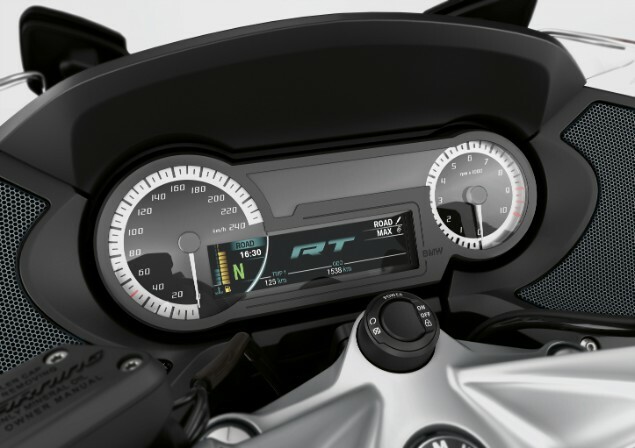 The TFT screen works in conjunction with a BMW Connected app on a smartphone to offer music, phonecalls and also works with a pillion to rider communication system which makes long touring trips better. 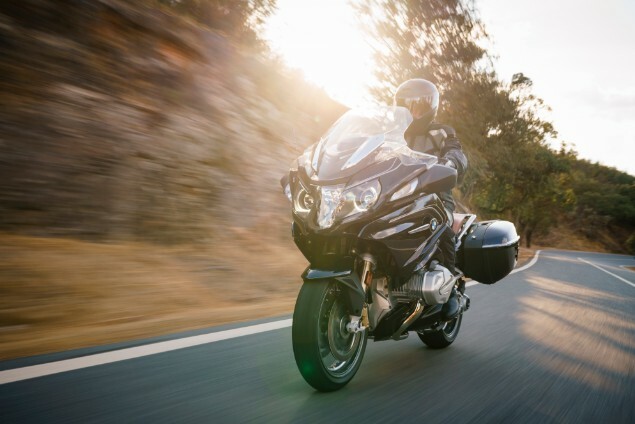 The RT now gets the latest version of the Dynamic Electronic Suspension Adjustment (ESA) which has an automated load adjustment to take into consideration the weight of luggage or a pillion. The new RT has a choice of three rider seat heights. The two-level seat is the standard version, with a seat height of 805/825mm. In addition there is a 760/780mm and 830/850mm variant. All three can also be ordered with seat heating. Bikes are going to be available for demo rides in a matter on a few weeks and its looking like early to mid-October 2018.